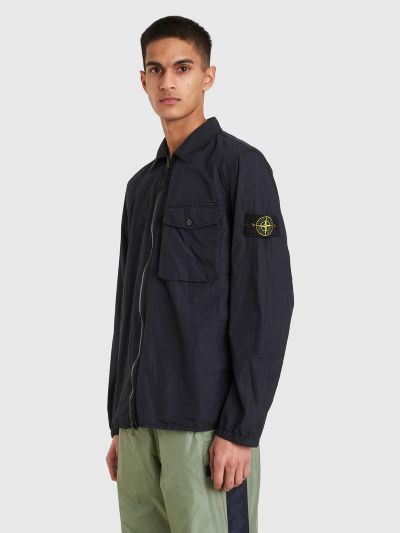 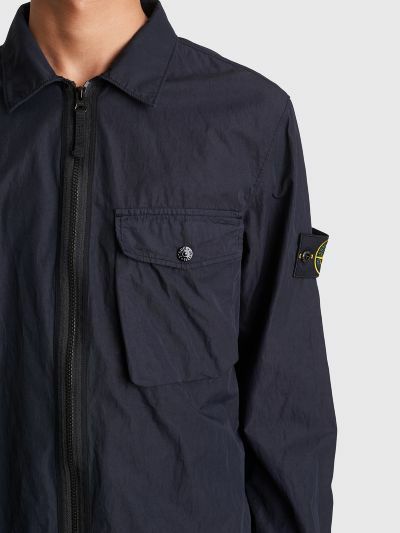 Overshirt from Stone Island made from a tight woven cotton and nylon poplin. 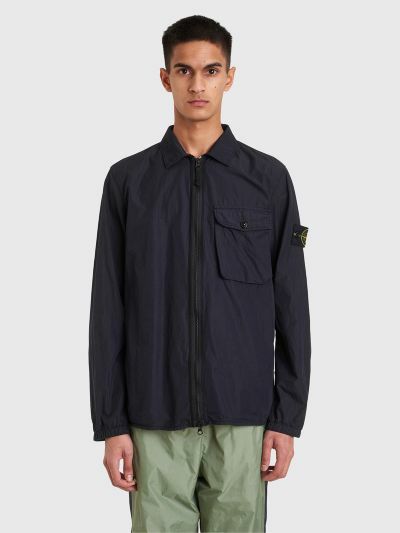 Features a regular collar, two-way zip closure on the front, a single chest pocket, straight hem and elasticated and adjustable cuffs. 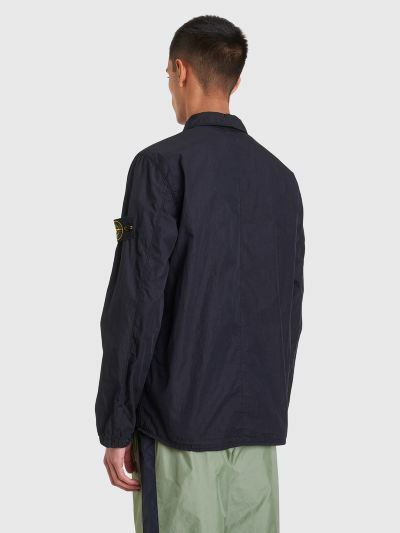 Removable logo patch on the left sleeve. 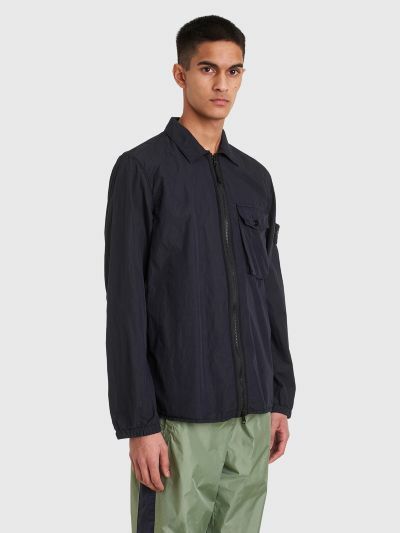 Dark navy overshirt. Made from 70% cotton and 30% polyamide.